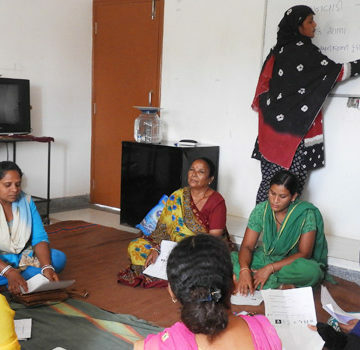 Ms. Jayshree Gadavi has been organizing women living in poverty in the city and working as the catalyst to upgrade their social and economic condition. 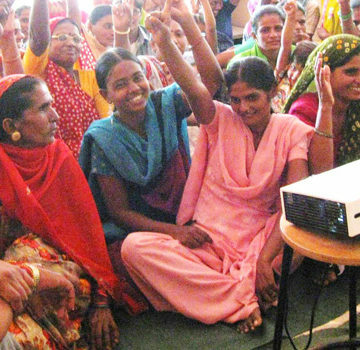 Women disproportionally experience poverty, stemming from the unequal division of labor and lack of control over household economic resources. We found that many women remain dependent upon their husbands and have no control over household spending. 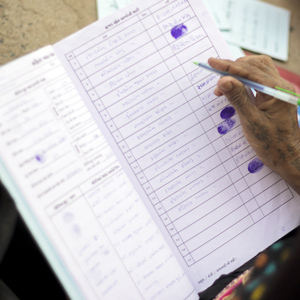 In addition, women often have limited opportunities for education, employment, asset and land ownership, the inheritance of assets, and control over their future in general. This situation encouraged me to work towards financial inclusion of women that create gender equality by empowering them and giving them greater control over their lives. 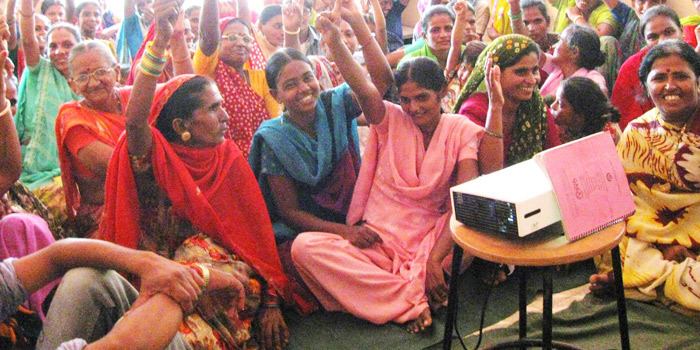 Saving accounts provide women with a safe and formal platform to save their earnings for future investments in business operations. In fact, this often results in higher spending on necessities such as health and education that is often denied otherwise. Now, women are organized in slum settlements and working for other issues in their areas like water, sanitation, education for their children etc. 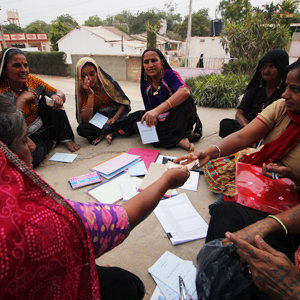 My work is supported by KMVS and Sakhi Sangini, a slum women’s collective in Bhuj. 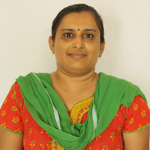 Ms. Sheela Bhatti and Ms. Preeti Vigora are supporting my work and are associated with sub-fellow. 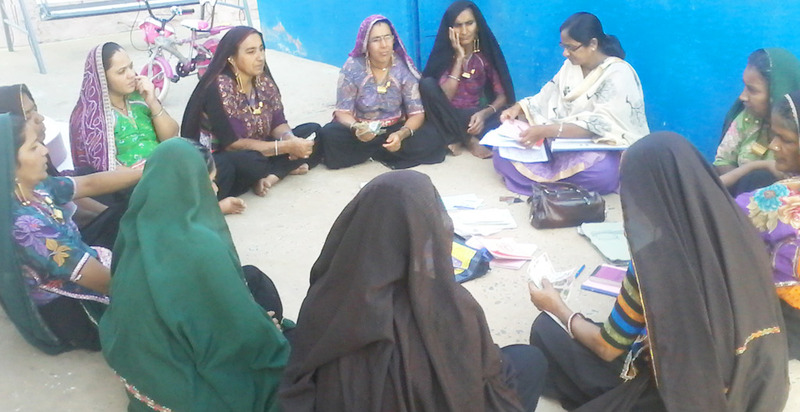 About 156SHGs are linked with Mission Mangalam/NULM of which about 81 SHGs have received Rs. 13,79,180 from the government so far. About 148 families are linked with MAA Yojna, 69 families with Annapurna Yojna and 57 families enrolled for Suwarn Jayanti Card. 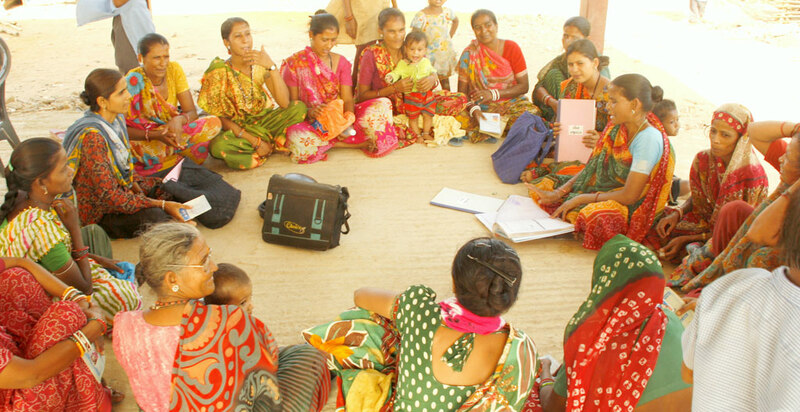 Over the past few years, after constant mobilization and dialogue with SHG members, now, they are not only motivated to have more savings but are also taking part in development activities in their slums and the city individually and through formal and informal committees. 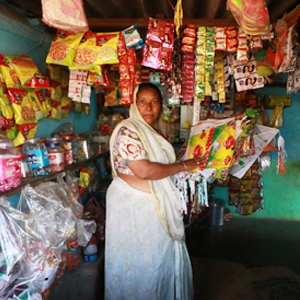 Ms. Hansaben Vaghela, 29, lives with two children and her husband in Ramdev Nagar, Bhuj. She was compelled to stop study after 5th class due to the poor financial condition of the family. She became a member of the SHG of Sakhi Sangini in her slum in 2009. She was trained in various banking related activities such as filling the application form to open an account, application for loan etc. In a short time, she became an active member of her group and supports other group members and residents of Ramdev Nagar. 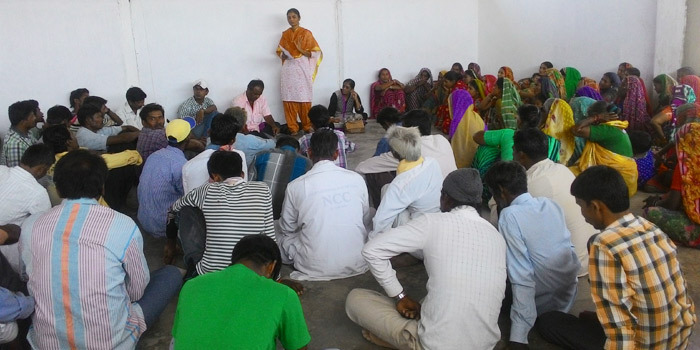 In 2014 when Ramdev Nagar – an informal settlement developed on public land was selected for in-situ redevelopment under the housing program, Rajiv Awas Yojna (RAY), community was sceptical about consequences of this programme, credibility of agencies engaged in planning and development of the scheme for their area and so were reluctant to join and participate in this programme. Hansaben came forward to mobilize and convince people by explaining the aim of the RAY program and credibility and motives of agencies/civil society organizations engaged in the redevelopment. Her efforts resulted in the community agreeing to take advantage of the program and about 126 families built their houses themselves under this programme with security of tenure. Hansaben has recently appeared for the 10th board exam to upgrade her educational qualification. Now, she is a role model in Ramdev Nagar who motivates other women to understand the importance of education and information. 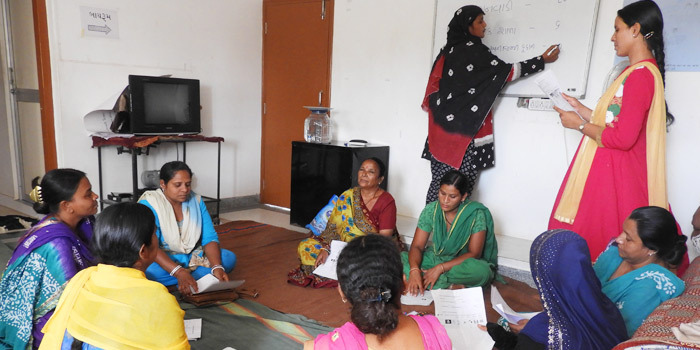 Sakhi Sangini motivates and guides her to take leadership and empower women in her society. 3. MaaAnnpurnaYojna –In April 2016, GoG has launched the implementation of National Food Security Act 2013, renamed by the State Government as MaaAnnpurnaYojna. This scheme provides rice at Rs. 3 per kg and wheat at Rs. 2 per kg. Poor families are entitled to get 35 kg foodgrain every month at the subsidized rate.